The exhibition's opening reception was Thursday, January 19, 2017. Here John Sanden is responding to the speakers (next six pictures). 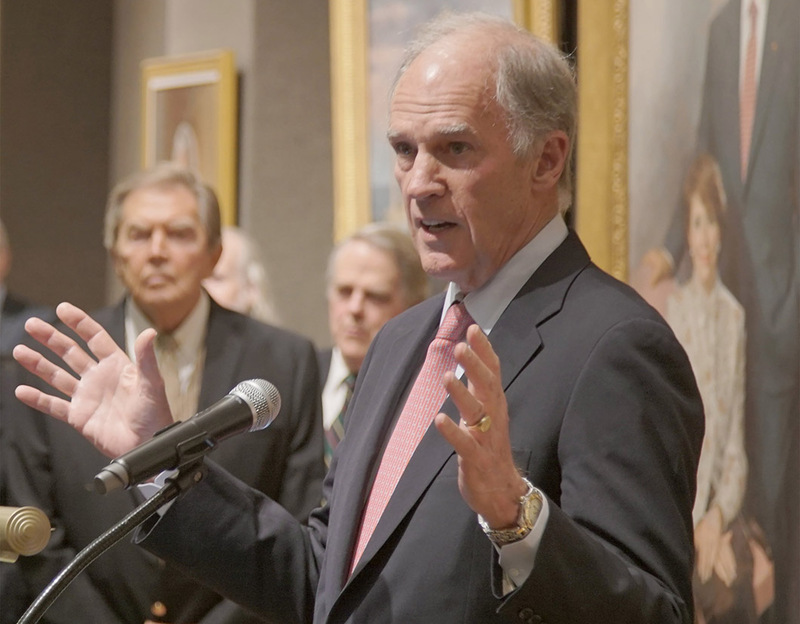 Looking on, from left: Robert Pillsbury, President of the Salmagundi Club, James Reid, Burton Silverman, Beverly McNeil of Portraits, Inc., and Robert Alexander Anderson. Master of Ceremonies was Beverly McNeil, Executive Partner of Portraits, Inc. 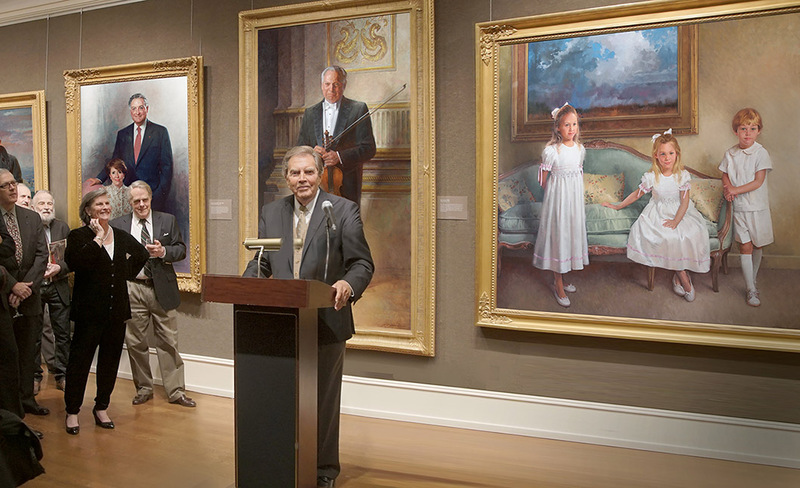 Portraits, Inc., which co-sponsored the exhibition, and has been, since its founding in 1942, the premier portrait gallery in the nation. Portraits, Inc. has represented John Howard Sanden for forty-seven years. Jay Coogan, President of the Minneapolis College of Art & Design, brought greetings from the artist's alma mater (Class of 1956). The Minneapolis college has grown into a major mecca for young artists in the midwest. William B. Harrison, Jr. was chairman and CEO of America's largest bank, J. P. Morgan Chase, retiring in 2007. He spoke of his experience in sitting for his portrait, which was on display in the exhibition. 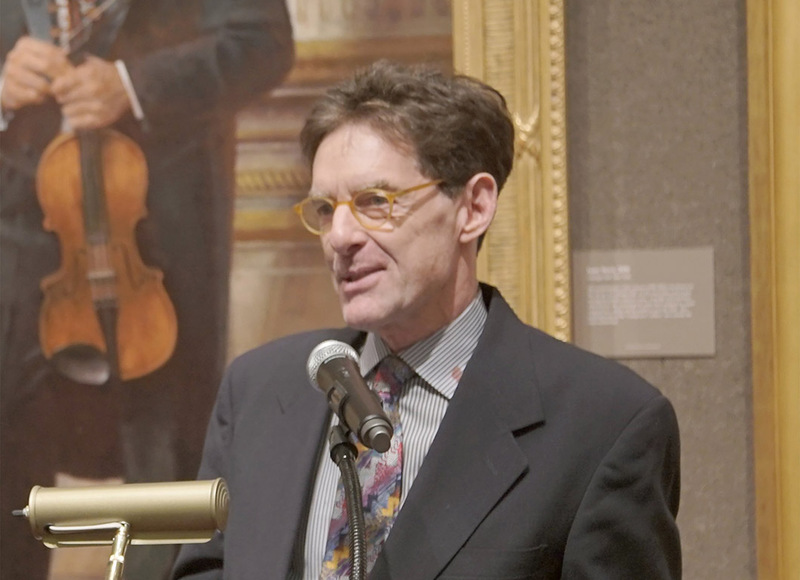 Ira Goldberg, Executive Director, the Art Students League of New York. 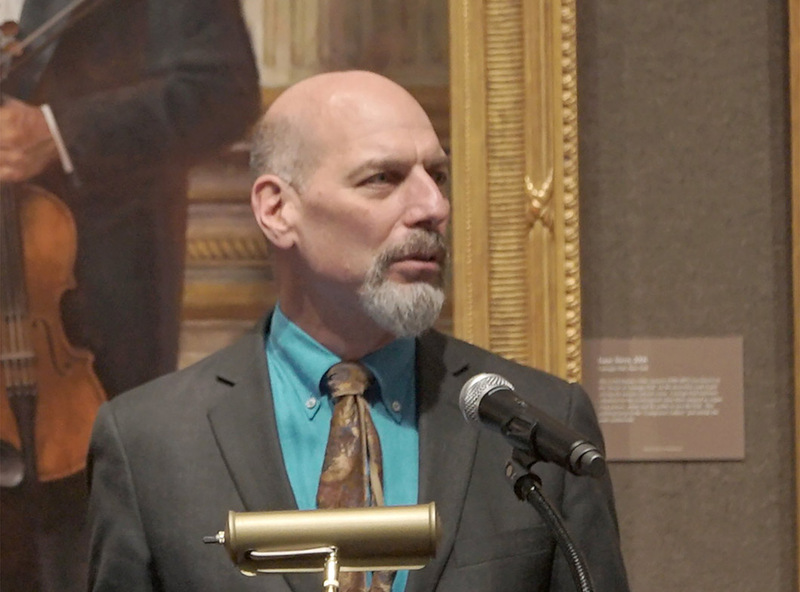 John Sanden taught a studio class in portraiture at the League for eleven years, and gave an annual lecture series there for twenty-five years. 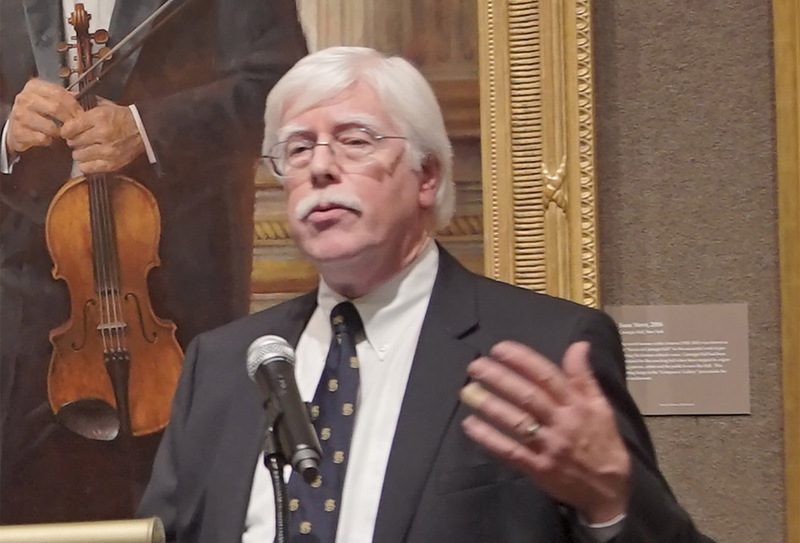 Tim Newton, Chairman of the Board of the Salmagundi Club. About the exhibition, Newton wrote, "It was just one of the most amazing exhibitions in our history!" 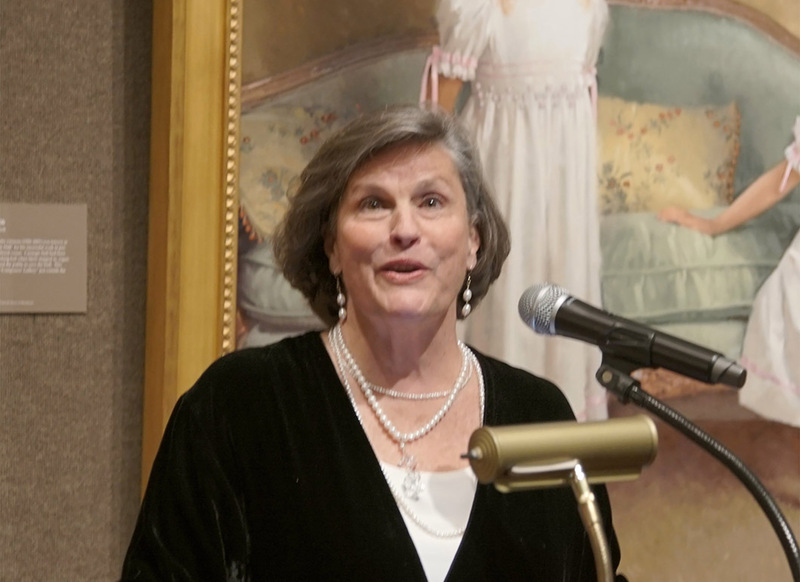 Elizabeth Sanden was the driving force behind the exhibition. The show was her concept, and she supervised the myriad details, including the negotiations involving the loan of paintings, getting the paintings to New York, and the actual installation itself. 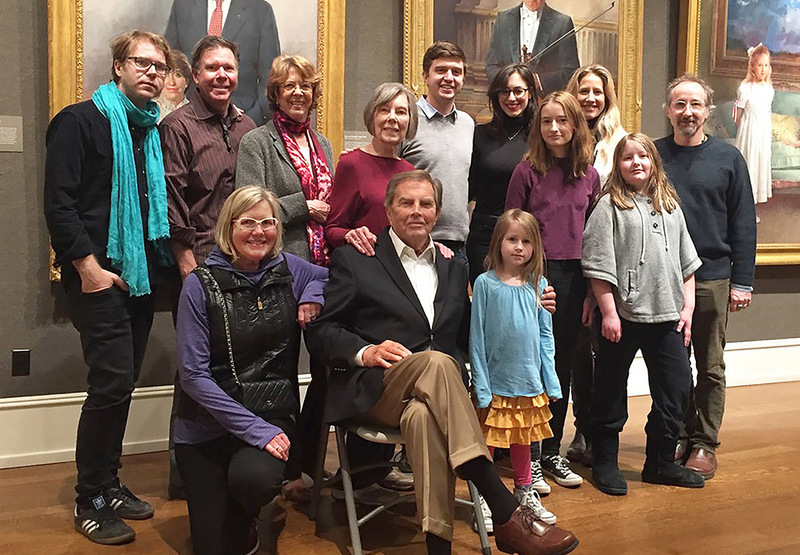 Elizabeth and members of the Portraits, Inc. staff were present in the gallery during the show's run. Jonathan Sanden and Rachel Wolff produced the film John Howard Sanden: A Fifty Year Retrospective which was shown during the exhibition. The film may be seen by clicking here. Members of the Sanden family gathered from all around the country for the event. Front row, from left: Laura Sanden Cabo, John Howard Sanden, Anna Livia McMahon. Back row: Erik Sanden, Paul Sanden, Elizabeth Sanden, Lila Sanden, Jonathan Sanden, Rachel Wolff, Fiona McMahon, Pamela Sanden McMahon, Penelope McMahon, Jason McMahon. Not pictured: Julian McMahon. The signature image for the exhibition was The J.D.A. 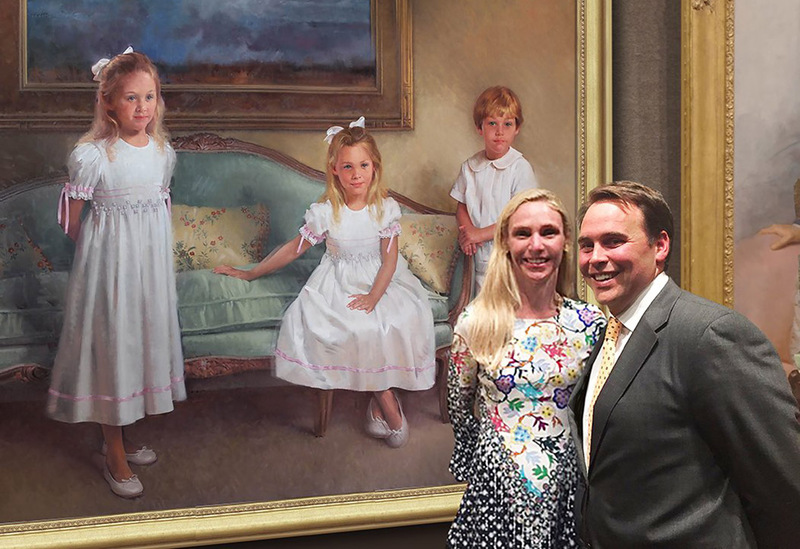 Barr Family, painted in 1973 in Norfolk, Virginia. 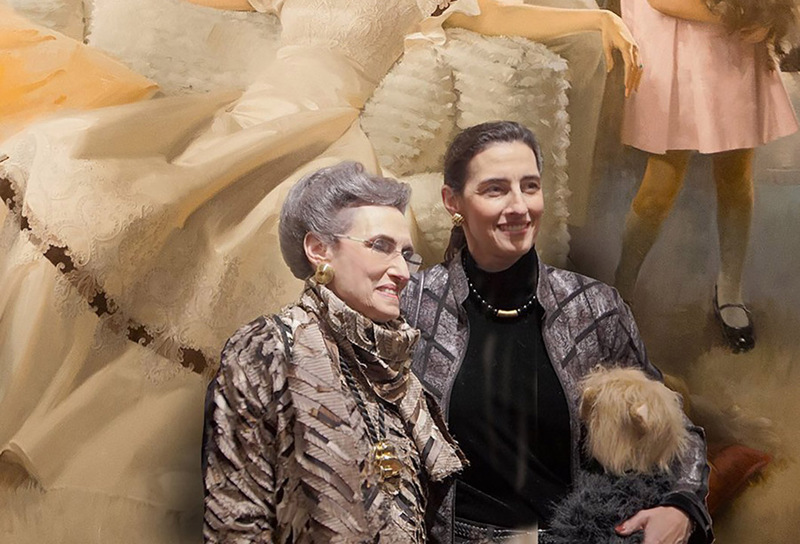 Here, Clay Barr stands before her portrait, and Elena Barr Baum holds a stuffed version of her 1973 pet. 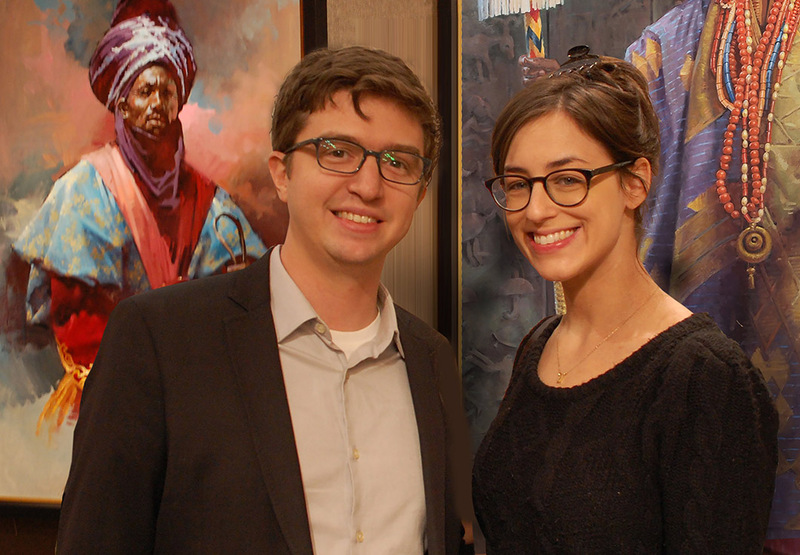 Jaime and Benjamin Wall of Spartanburg, South Carolina pose with the portrait of their children which was completed just in time to be included in the exhibition. Twenty-eight years earlier, Mr. Wall had posed for the artist for a similar group portrait with his brother and sister. 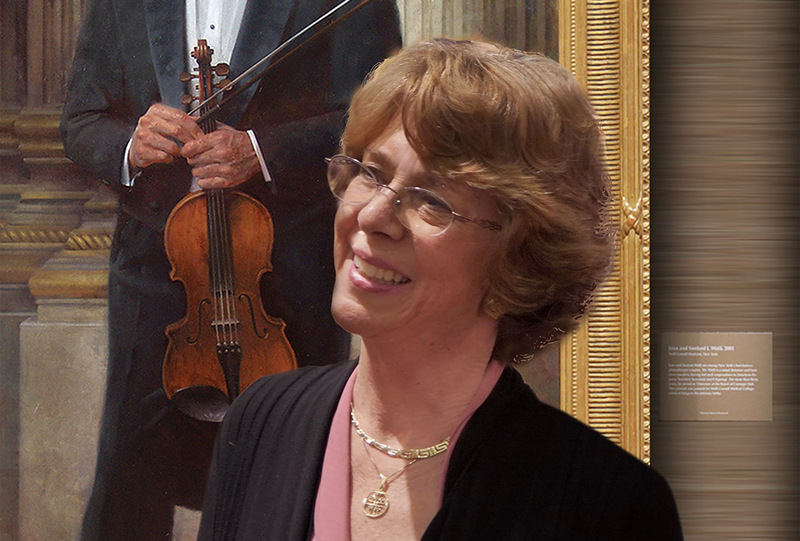 Previously, John Sanden had painted Mr. Wall's mother, father and grandfather. Portraits, Inc. for their generous sponsoring of the event. Special thanks to Beverly McNeil, Julia Baughman, Ruth Reeves, Bebe Barnard and Leigh Amos. All who loaned portraits to the exhibition: Mrs. Clay Barr, Dr. J. Phillip London and Dr. Jennifer Burkhardt London, Jaime and Benjamin Wall, Carnegie Hall (Sir Clive Gillinson, Artistic and Executive Director), J. P. Morgan Chase, Columbia University/Barnard College, The Duke Endowment, The Fifth Avenue Presbyterian Church, Loews Corporation, NYU Langone Medical Center, and Weill Cornell Medicine. The Samagundi Club: including officers, members and staff, headed by Director Chris Nunnally - for their enthusiastic help with so many details. Members of my far-flung family (see group photo above) who came from California, Texas, Utah and Massachusetts to attend the opening. My wife Elizabeth, for the enormous amount of hard work which went into this project: the letters, emails, telephone calls, plus the endless follow-through and detail work which was required to make it all happen. Thank you, Elizabeth.